So Sid dominated by nearly 228k votes over 2nd place Toews. He pretty much had it locked up after the 1st week of voting but fans continued to vote and further run up the score. Hawks fans placed their 1st of 2 players right behind him in Toews and Evgeni Malkin pulled the upset and convincingly took 3rd place. Nearly everyone would have guessed either Stamkos (4th) or Ovechkin (7th) would have taken this spot but Pens fans really pulled through for Geno and he won by almost 70k votes over Stamkos. Ovechkin placed quite low back in 7th behind Kane and Cammalleri followed by a couple of Flyers and Plekanec of the Habs. Looking further down the list you can spot an attempted prank by Rangers fans as Sean Avery somehow took 15th spot with nearly 173k votes. Other Pens that made the list were Talbot with 56k, Kunitz with 42k, and Dupuis with 14k. Some big ticket guys like Iginla, Nash, Thornton, and Vanek finished a good way down the list but the biggest fan flop was Ilya Kovalchuk. Kovalchuk was nearly at the bottom of the list with about 17k votes. In fact, Kovalchuk's fan showing was so bad that he was beaten by Coyotes enforcer Paul Bissionette and his twitter fans. Talk about a story! Kris Letang was not even on the ballot but a little campaigning by FSNPIT and the Pens site started an overflow of votes from the fan machine. 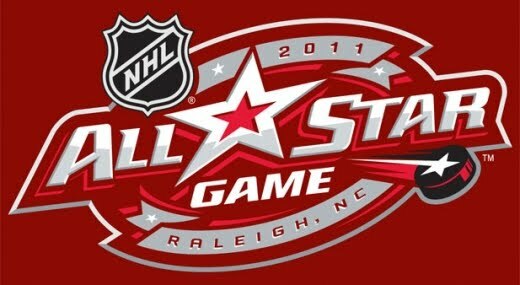 This was the only way that Letang could have made the ASG, and the fans came through to send him to Raleigh. Hawks d-man Duncan Keith (winner of last year's Norris Trophy) easily took 2nd over Nicklas Lidstrom and injured Chris Pronger. The Hawks placed d-man Seabrook in 5th, Flyers d-man Timonen in 6th, and Habs sophomore PK Subban (this was quite surprising) took 7th. Paul Martin, the only Penguin on the ballot who did not get voted in, respectably placed in 8th amongst defensemen. Thrashers giant Dustin Byfuglien took 9th and Kings standout d-man Drew Doughty rounded out the top 10. Brooks Orpik (another write in) was a bit down the list with a very respectable 66k votes and Alex Goligoski just squeaked his way onto the list with 11k. For the 1st 3 weeks it looked like a head-to-head showdown between write-ins Carey Price and rookie Sergei Bobrovsky, but Marc-Andre Fleury put on a late rally in the final 2 weeks to overtake Price and stay ahead by about 55k. Fleury was not considered a favorite to get in, but once fans saw he had a chance his cause really began to pick up steam and he moved right to the front. Red hot Boston goalie Timmy Thomas finished way back in 4th followed by Blues standout Halak, Wings sophomore Howard, Olympic USA hero Ryan Miller, Cam Ward of the hometown Canes, Kings goaltender Jonathan Quick, and Canadian Olympic hero Roberto Luongo. Missing from the list is Martin Brodeur, who finished way back with only 26k votes. The remaining 36 players will be selected next week by the NHL along with 12 rookies. This group will select 2 captains amongst themselves and those captains will participate in a fantasy draft a few days before the event to select their teams. The rookies will be able to select which side they want to play for.